Kombatants hoping to tear out the spine of Scooby-Doo’s Shaggy will be disappointed to learn that Mortal Kombat developer NetherRealm has put its foot down and said ‘No.’ It seems that this particular crossover idea is a bridge just a tad too far. 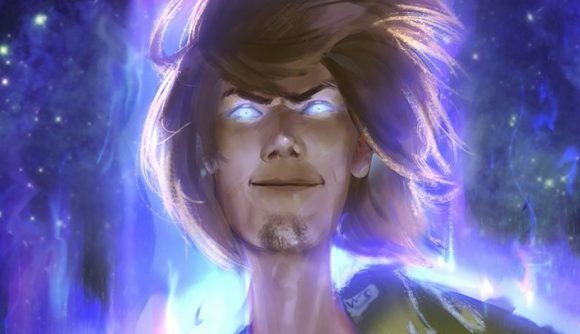 The notion of putting Shaggy into Mortal Kombat 11 has come up a lot, to the point that an online petition to add him as a DLC guest character has now amassed more than 350,000 signatures. But Mortal Kombat’s community manager Tyler Landsdown poured a bucket of cold water on their hopes during the first official Mortal Kombat 11 ‘Kombat Kast’ this week. After a little lighthearted sarcasm, Landsdown got definitive. “Shaggy will not be in the game – at all, ever, sorry, dead meme,” he said, as the other NetherRealm members in the studio sighed in theatrical disappointment. “The meme is dead, no Shaggy in Mortal Kombat 11,” Landsdown said. In the past, Kabal’s finishing moves have been a bit uninspiring, but it appears that problem has been, uh, rectified. The full Kombat Kast gets into Kabal’s moveset and design in some interesting detail, so it’s worth a watch if you’re champing at the bit to get your hands on the next instalment in the Mortal Kombat series, or if you’re just a really big fan of sharp things hitting squishy things. Mortal Kombat 11 is scheduled for release on April 23.